Springtime in Texas wouldn’t be the same without the swaths of stunning wildflowers that appear every year. This is a great opportunity to spend some time outdoors with your kids, getting some exercise and learning about nature. 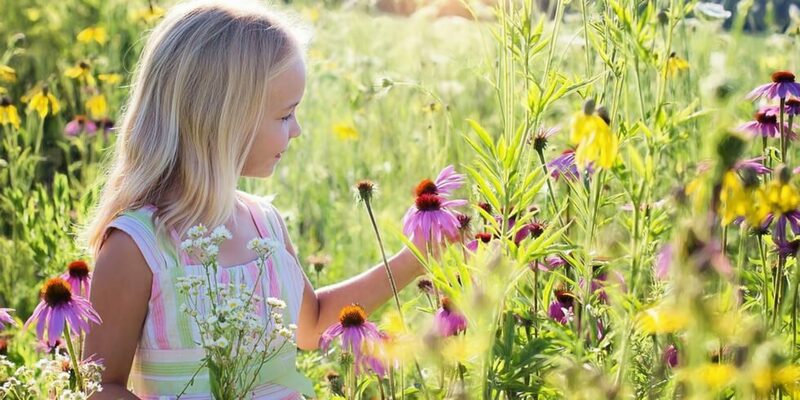 You can find hundreds of native wildflowers in the area, but here’s a helpful guide to a few of our favorites that will be along Orchard Ridge’s two miles of trails. 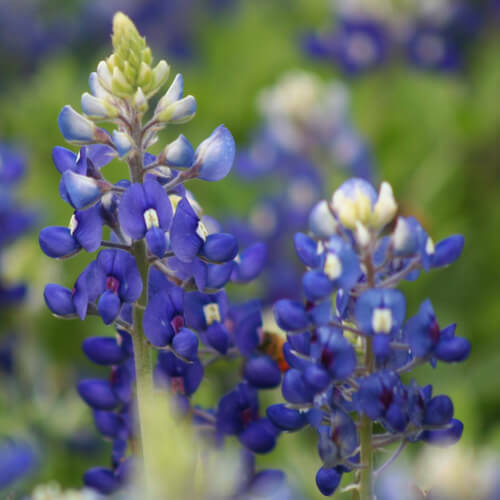 Description: An iconic flower, the Texan bluebonnet can grow to encompass huge fields. With clusters of up to 50 pea-like, bright blue flowers with a white tip, it’s a sight to behold. Fun fact: The Texas bluebonnet is the state flower of Texas! Here are 15 more things to know about our gorgeous state flower. 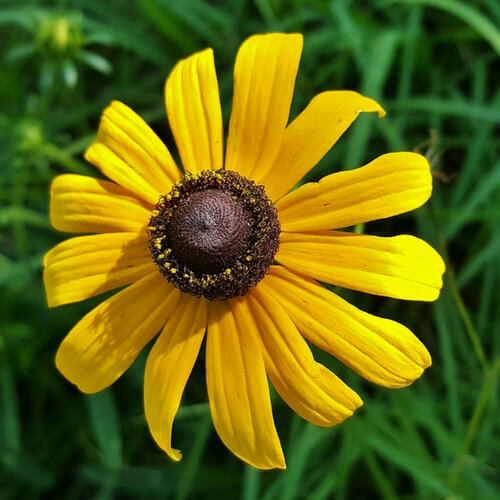 Description: Black-eyed Susans are a cheerful flower with yellow petals and dark centers that grow atop tall, one-to-two-foot stems. 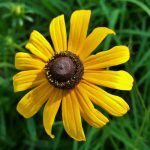 Fun fact: Black-eyed Susans are a pioneer plant. After a large fire or other natural disaster, they’re one of the first plants to regrow and help prevent erosion of the soil. 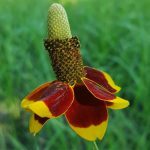 Description: The Indian blanket features bright flowers with a soft brown center and red petals tipped with yellow. A hardy plant, it has strong, woody, hairy stems. Fun fact: The India blanket gets its name from a legend of an old Indian blanket maker. 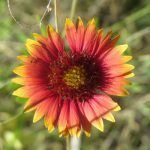 Upon his death, the Great Spirit was so saddened that the He created wildflowers in the design of the old Indian’s beautiful blankets so everyone could enjoy them. 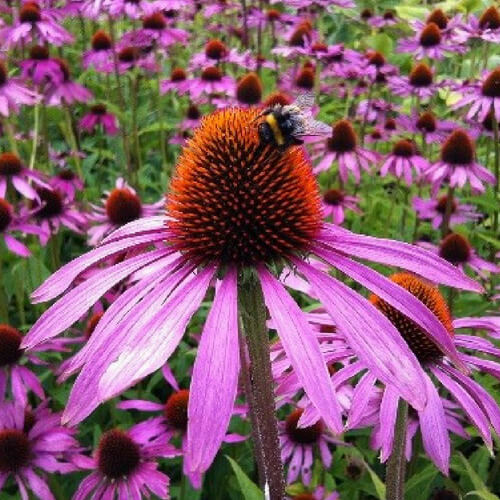 Description: Purple coneflower is a one of the taller wildflowers you find, ranging from 30-150 cm. in height. The flower head has a prominent, spiny, brown central cone that is surrounded by purple, droopy, daisy-like petals. 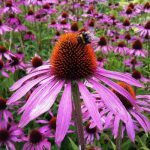 Fun fact: You’ll find Echinacea purpurea as an ingredient in many herbal teas and supplements meant to strengthen the immune system. Description: The Mexican hat features a unique flower with a tall red-brown center surrounded by dark red and yellow petals that can bloom by the thousands, covering entire fields. Fun fact: The Mexican hat truly has a perfect name! It’s named after the sombrero – a tall, broad-brimmed hat which this flower resembles. Visit Orchard Ridge seven days a week to experience this lush, nature-centric community. To learn more, join our Founders Club and always stay up-to-date on Orchard Ridge news.